November was another busy month on the frontlines of clean energy progress - and you make all this possible. Hundreds of Vote Solar members like you are making year-end gifts to speed our nation’s transition to safe, healthy, job-creating solar energy. Will you join them with a gift of $10, $25 or more to continue the fight for solar progress? Plenty of attention was paid to what last month’s midterm election meant for the balance of power in Congress, but the big news story for clean energy was the action at the state level where a strong bench of pro-renewables leaders won their races. A whopping seven newly-elected Governors are entering office having already made commitments to 100% clean energy, and we saw solar-supporting lawmakers win or retain their seats in states from California to South Carolina. All of that adds up to a massive new opportunity to reduce bills, create jobs, improve health and leave a better world to our children with clean energy progress in states nationwide. 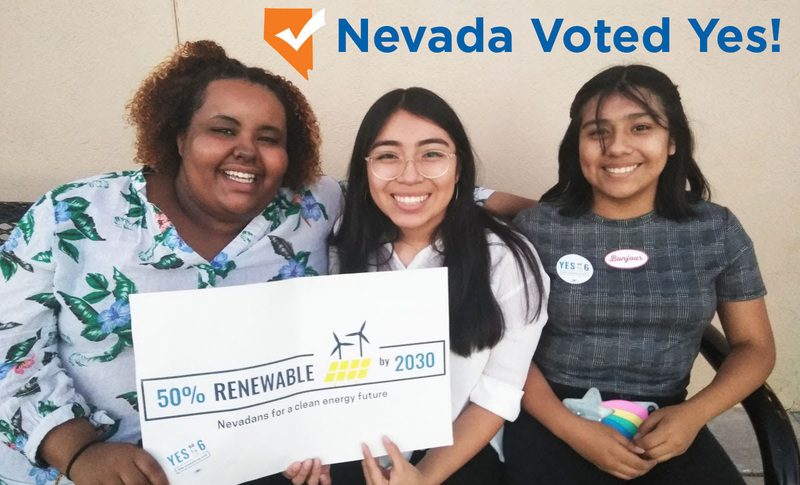 Clean energy won big on the ballot in Nevada, where voters had the opportunity to literally vote for solar with Question 6, and put the state on the path to 50% renewable energy by 2030. We’re proud of the efforts of the Vote Solar Action Fund and our partners who made this win possible by talking with thousands of Nevada voters about the economic, environmental and health benefits of bringing more solar to sunny Nevada. 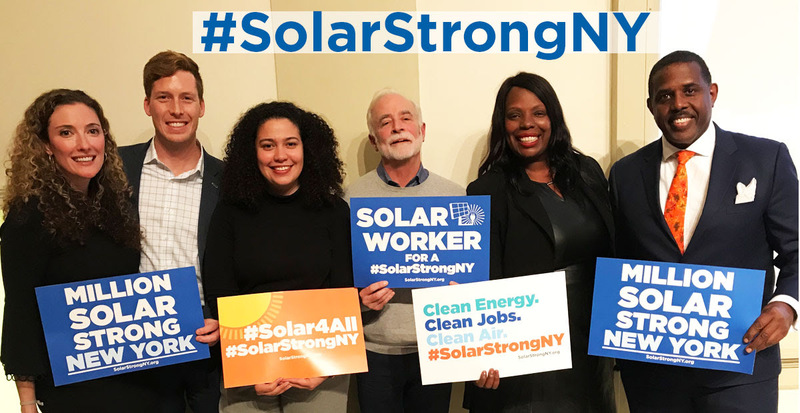 We are part of a mighty movement calling on New York State leaders to commit to the goal of powering one million households in the Empire State with solar by 2023, including options for renters and low-income families to save with the sun. This month, two esteemed state lawmakers - State Senator Kevin Parker and Assembly Member Latrice Walker - added their support by joining Vote Solar for a Town Hall conversation with local constituents at the Brooklyn Botanic Garden. We are grateful for true civic leaders like these - and for all of the community members who show up and speak up for clean energy progress. Watch the Solar Strong Town Hall here. 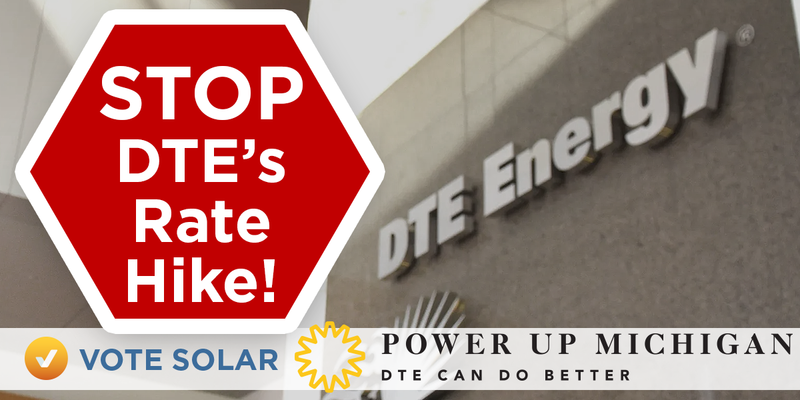 Michigan’s biggest monopoly electric utility, DTE Energy, proposed a solar rate hike that would amount to a nearly 85% bill increase -- an expensive power play that would put solar out of reach for most families and businesses. All across the country, our team of regulatory experts is fighting unfair utility proposals like these that are intended to protect corporate utility profits at the expense of consumer choice and savings. And while the utilities may have highly paid lobbyists and lawyers, we have the will of the people on our side - and that’s powerful. People in Michigan and every state across America overwhelmingly support solar progress - and we work to make it easy for folks like them (and you) to get involved in critical energy decisions. Prestigious Clean Energy Leadership Award Goes to Melanie! 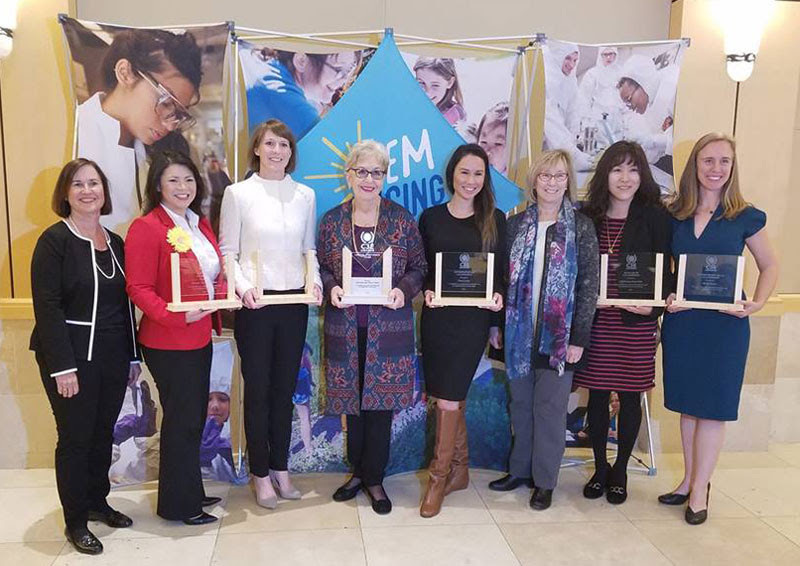 Yesterday we celebrated our Vote Solar colleague Melanie Santiago-Mosier, who received a prestigious U.S. Clean Energy Education and Empowerment (C3E) award recognizing outstanding women clean energy leaders. Melanie (on left with the sunflower!) has more than a decade of experience in clean energy policy. For nearly three years we've been lucky to have her directing our Equity & Access Program, where she focuses on making sure that we're building a clean energy movement that is diverse and gives everyone the opportunity to thrive. She's an inspiring leader, a dedicated mentor, and really darn funny to boot - all of which are important ingredients for changing the world. Watch the video of her powerful speech here. All this work would not be possible without the support of thousands of solar supporters like you nationwide. Thank you for being part of America’s renewable energy success story, and please consider taking your commitment one step farther by including Vote Solar in your year-end giving.